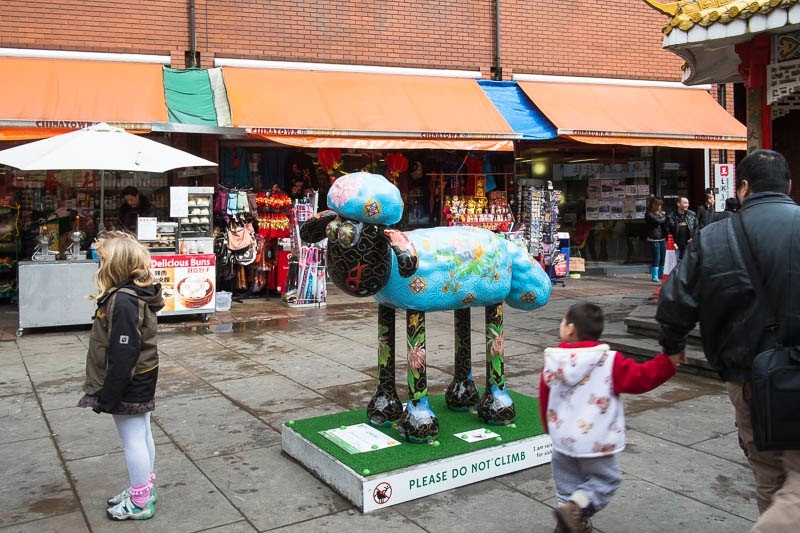 Shaun the sheep turning heads in Chinatown. A most unusual looking sheep! London appears to be very colorful these days! Great pics! It rightfully draws the attention! I wonder if that little girl ever found out she had a sheep looking over her shoulder, nice street picture..
Nice to see Shaun getting out and about.